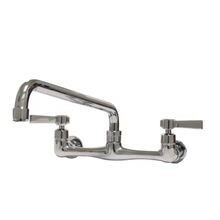 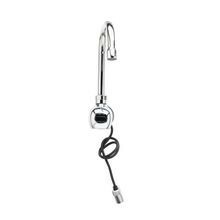 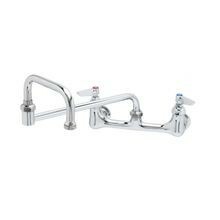 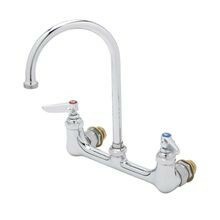 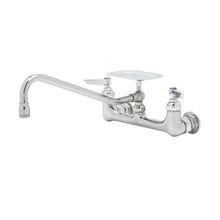 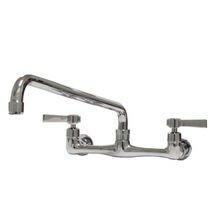 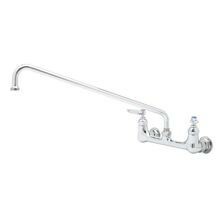 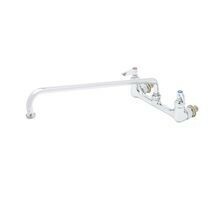 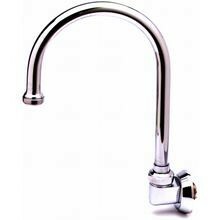 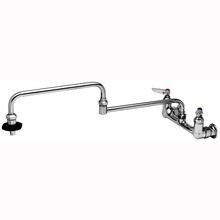 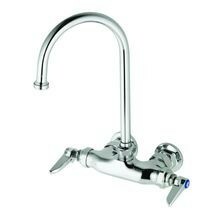 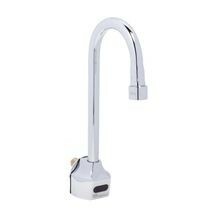 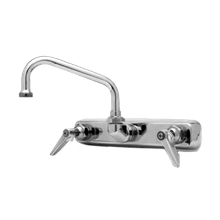 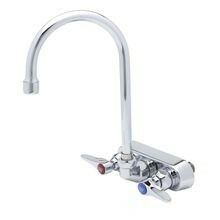 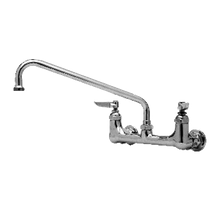 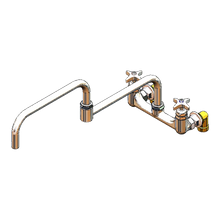 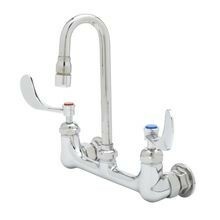 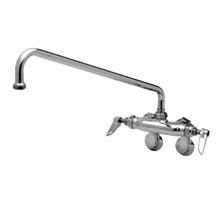 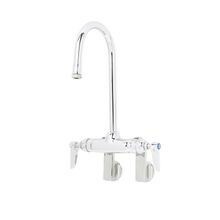 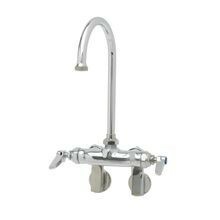 T&S Brass B-0331-CC Faucet, splash mounted, swivel gooseneck, 9-1/4"H from center of faucet to top, 5-1/4" to tip of nozzle, 6" spread, 8" O.C., 1/2"
T&S Brass B-0241 Sink Mixing Faucet, 12" swing nozzle, wall mounted, adjustable inlet arms with integral stops (from 2-1/4" to 8-1/4" centers) 1/2"
For any commercial kitchen that frequently washes large pots, pans, and other oversized items, investing in a simple wall-mounted faucet could be the perfect plumbing solution. 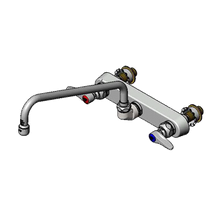 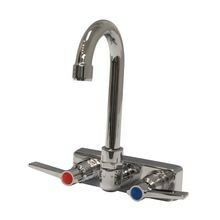 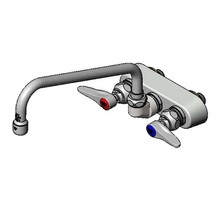 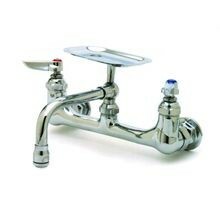 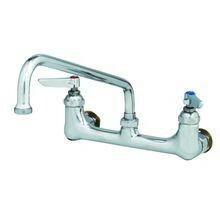 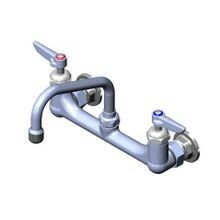 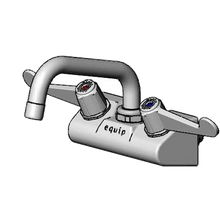 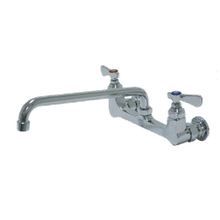 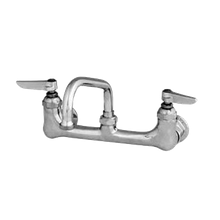 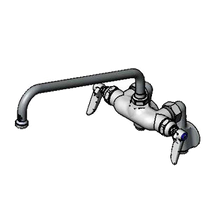 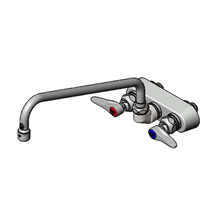 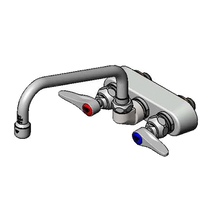 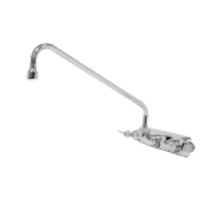 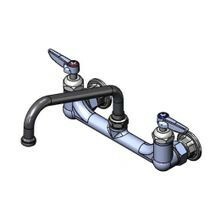 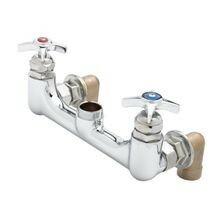 These faucets are generally placed higher off the sink's deck or behind the sink altogether, allowing for more clearance between the sink bowl and the faucet. 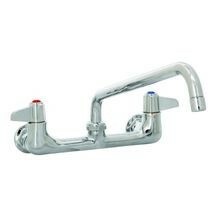 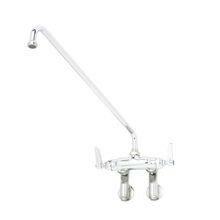 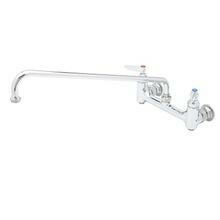 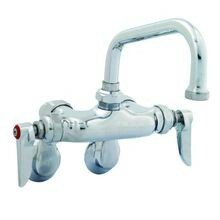 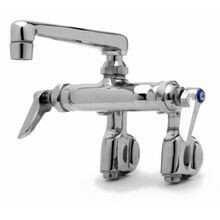 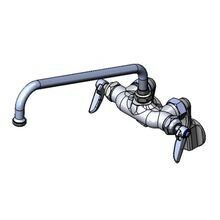 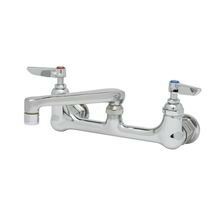 Wall-mounted faucets make it easier, and more efficient to wash your hard-to-maneuver pots.